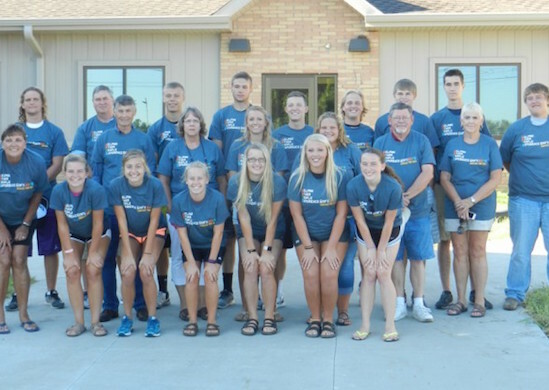 A group of young adults in Missouri experienced the joy of working with the Fuller Center for Housing of Greater Kansas City this past July. Now, as they look back on the experience, they realize what it taught them about the world. The sixteen students were from various parts of Missouri, and spend their trip working with various charities, including a two day home remodel with the Fuller Center. Upon completion, the home will house a single mother and her two children. Work at the home varied, including electrical projects, removing tree stumps, and building stairs, but one thing was clear for every student: this trip was a huge success. “I found out in helping other people, it helped me to be more devoted to Christ,” Hunter, a participant, stated. We were so blessed to have this group work with us last summer.